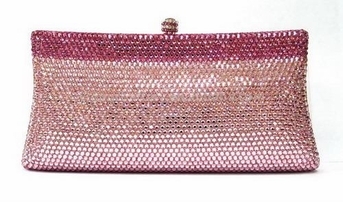 Description: Beautiful high end swarovski crystal pink evening purse. A combination of light and dark pink swarovski crystals creates a stunning evening purse. great size approximately 6 1/2 x 3 3/4" high.